MAR DEL PLATA, Argentina — Argentina’s navy announced Thursday that a sound detected during the search for a missing submarine apparently came from an explosion — an ominous development that prompted relatives of the 44 crew members to burst into tears. The sub was originally scheduled to arrive Monday at the Mar del Plata Navy Base, about 250 miles southeast of Buenos Aires. 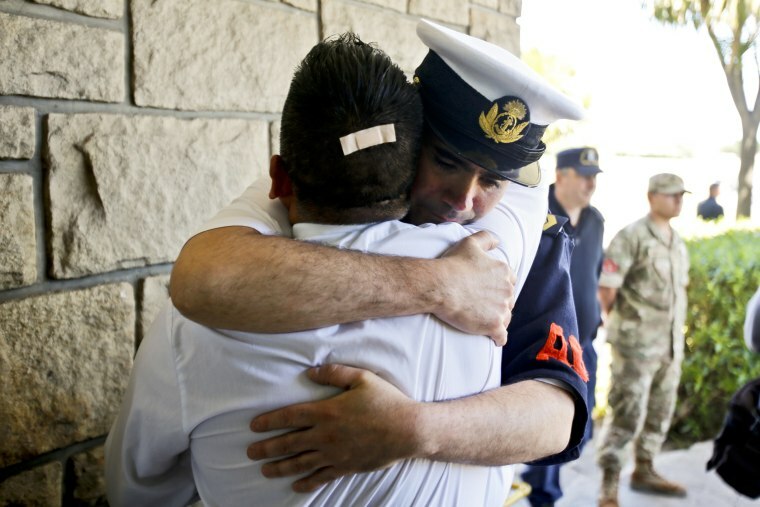 Relatives of the crew who have gathered at the base to receive psychological counseling broke into tears and hugged each other after they received the news. Some clung to a fence crowded with blue-and-white Argentine flags, rosary beads and messages of support. Some declined to speak, while others lashed out in anger at the navy’s response. The search location straddles the edge of the continental shelf, with widely varying ocean depths, some as great as 10,000 feet. Experts say the submarine could not have supported pressures that far down. More than a dozen airplanes and ships have been participating in the multinational search despite stormy weather that has caused waves of more than 20 feet. Search teams are combing an area of some 185,000 square miles, which is roughly the size of Spain.